Description: This workshop is designed to provide effective ways to sell your product or service. Focus on the buyer’s needs and provide solutions to drive business results. Vivyen Ray is a New Jersey based Training and Development consultant and personal coach. Her firm, Vivyen Ray Consulting, offers courses on leadership, management development and professional skills. 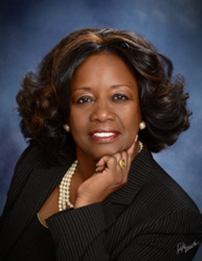 Prior to starting her business, Ms. Ray spent over 30 years in corporate America and higher education in senior roles in human resources, training and development, organizational development, coaching and talent development. She has been an adjunct professor at several New Jersey community colleges and taught Small Business Entrepreneurship at the College of Mt. St. Vincent in the Bronx, NY. She is currently the Executive Director of Human Resources at Hudson County Community College. Ms. Ray’s undergraduate degree is in Personnel and Labor Relations from the University of Baltimore. Her Master’s degree is in Human Resources Education from Fordham University. She is currently attending the University of Phoenix and expects to complete doctoral studies in Organizational Leadership. Ms. Ray graduated from Corporate Coach University and has 25 training certifications from organizations like Franklin Covey, Eagle’s Flight and Ken Blanchard Associates.